After our excellent school volunteering program in Domkhar village, Ladhak, the India/Nepal group had the most exciting four days of trekking up the village and to a glacial lake. The high altitude of 10,000 to 15,000 feet made for a not so easy trek, but we were all thrilled throughout our time. We walked along the river with yaks carrying our supplies through pastures and boulders, passing through enchanting mountains and crystal clear streams that we drank straight off from. It was surely a trek we would never forget. 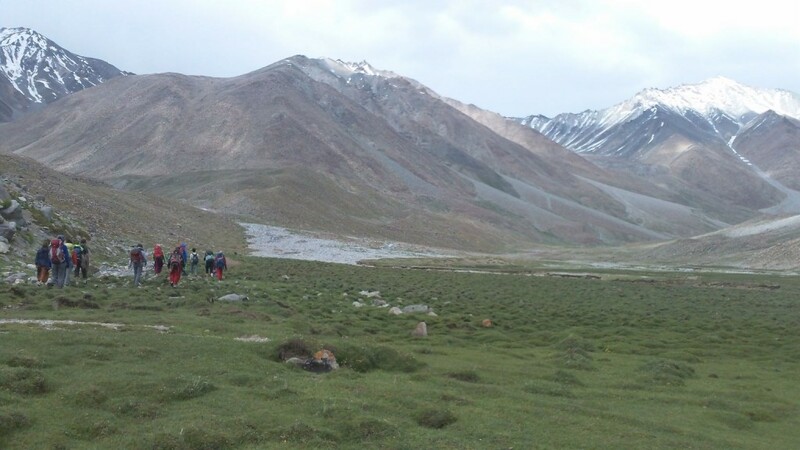 The youths of Domkhar organized and planned this trek and they provided us with excellent service. Because this trek falls near sensitive border region, it is not available to general tourists. We are some of the very few foreigners to have made this trek, making it a very special one.